Click the banner above to view our full Mermaids & Myth schedule! "You know, Selena, there's a fine line between important to me, and dead to me. And you're currently stomping all over it." Standing in the hallway, next to a stack of boxes, Selena Laurens laughed at her cousin's surely tone. "That's all right, Jo-Jo. Just remember with our Cajun-Romani blood, even if I'm dead to you, in either realm, you'll still be able to hear me. I will haunt you forever." His jaw dropped. Was she out of her gourd? "What are you doing, lass?" "Shh," she snapped. "I'm being a dragon whisperer." "Hey!" Simi said. "No picking on akri! He's not the one who got us into this . . . for once." Offended, Acheron snorted. "Thanks, Sim." "Anytime, akri. That's what the Simi's here for. Make sure you don't get one of them big heads." After getting pulled through a mirror into a hellish dimension, Jo is saved by Cadegan and the two quickly form a bond. The one thing about Sherrilyn's novels is her characters are always victims of instalove (and if it's not instant, it doesn't take long). However, Sherrilyn writes her characters in such a way that I'm totally fine with it. Except with these two. I didn't feel the chemistry between Jo and Cadegan that I normally feel between her characters. It didn't feel real between these two, which caused me to have a bit of trouble getting into "We have to save him from this hell dimension" mentality. I mean, I didn't want Cadegan to stay in the hell dimension, but I didn't fully believe Jo's "he's my soul mate and we're saving him or else" perspective. Romance aside, Son of No One is . . . ugh, it's just okay. There isn't a whole lot of "OMG THE WORLD IS GOING TO END AND WE'RE ALL GOING TO DIE," but there isn't a lot of drama either. I wasn't flipping the pages because my heart couldn't take what was happening and the things that were happening we're just . . . happening. Everything was too easy. Sherrilyn writing is, as always, spot on and the love scenes hot and steamy - girl does not hold back - but Son of No One feels like it's lacking. The story is fast paced, so it didn't take me long to get through it, and I always love when favorite characters come back for cameos. 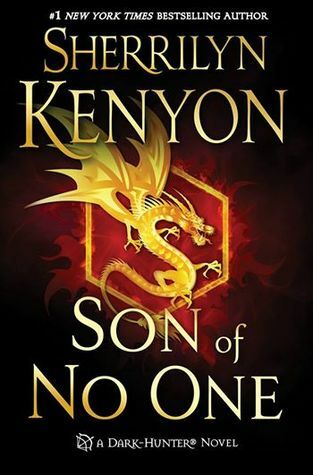 Overall, I didn't hate Son of No One, but it certainly wasn't my favorite of Sherrilyn's novels. This in no way turns me off from her or this amazingly intricate (and usually mind-blowing) series, but it is kind of a bummer.